The Craft Bar is full of 2 kinds of people: beer geeks and whiskey nerds. Okay, you can be lots of other kinds of people and still love what we've got going on, but that's not the point. This one goes out to the whiskey nerds. Here’s the scoop: in January, Wine World received our first “Signature Barrel” of the new year: 1792 Full Proof. 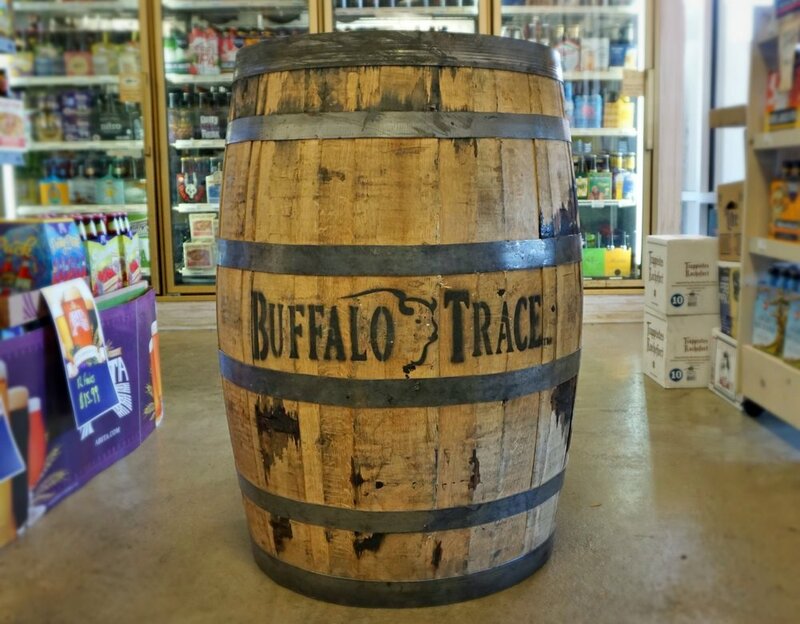 This month, we finally got our highly anticipated barrels of Blanton’s, Eagle Rare, and Buffalo Trace! Us whiskey nerds get excited about these drums of dram in particular because each unique batch is crafted by the same distillers that produce the iconic Pappy Van Winkle! Since we’re over here doing a little whiskey dance (it's like a rain dance but it happens after the barrel arrives), we think this is a great time to nerd out with you and share the story behind these spirits we’ve been putting our Signature on for years. Back in the day: Long before The Craft Bar blossomed into the spot you know and love, our parent company, Wine World, was slinging spirits left and right. Owner, Chan Cox, has always been on the lookout for new and interesting craft spirits. Although he still makes sure the shelves are stocked with the staples, it is artisan spirits that really peak his interest. “Right on the heels of the craft beer movement came the craft spirits movement...it was my customers who led me to it! They are the ones who educate us. They tell us what they want, and we go out in search of it.” Chan Cox said, when asked about how his whiskey nerdism began. Fast forward a few years: The Craft Bar was on the verge of opening its doors. We had some talented mixologists on board, and the cocktail menu was in the works. We had our pick of the finest craft spirits in all the land, right at our fingertips next door in Wine World! It was obvious what to do. What better to grace Destin's most unique cocktail list than the most unique spirits of all? So we scooped up some Wine World Signature Barrel spirits (like borrowing a cup of sugar from the neighbor) and put them on the menu. Think about it. You literally can’t get our cocktails anywhere else, because most of them contain those batches that were bottled exclusively for our company! Here’s how it works: we get in touch with a distiller of interest, and they send us some samples of uncut batches of spirits that aren’t quite finished aging yet. We get our panel of experts (sometimes that's you! Remember Judge's Table?) to taste each one, make notes, and vote! Then we send the results back to the source, and they slap our name on the batch we chose. The master distillers finish the good work, and the barrel we've laid claim to gets bottled and sent to us--only us. Fast forward a few more years: The Craft Bar is now known for serving delicious cocktails with several of our very own signature barrel spirits. Since 2009, in anything from a Smoked Old Fashioned to a Gold Rush, you've imbibed these exclusive batches of the good stuff like Knob Creek, Angel's Envy, Michter's, and so many more. The list seriously goes on and on. We wouldn't want to bore you. Remember that time we said this one was for the whiskey nerds? We lied a little bit. Fun fact: We have also been known to stamp the Wine World name onto other libations like Papa’s Pilar Rum, Cruzan Rum, Hendrick's Gin, and Corazon Tequila. Soon we’ll even have our own barrel of Patron! Usually, they’re bourbon barrel aged, so... still counts. Do we love beer? Yep. Are we also wine-os by association? Absolutely. But the spirits...that's our claim to fame.